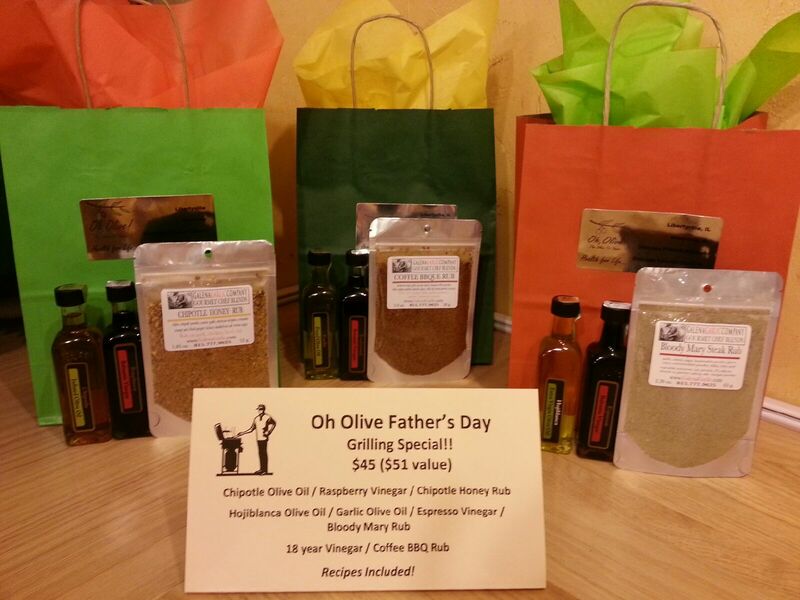 Got Buzz @ Kurman Communications: Oh Olive Father's Day Grilling Package Special! 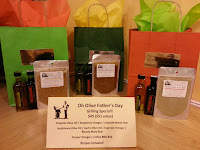 Treat dad to a special gourmet grilling package from Oh, Olive!. Receive 6 grilling oils or balsamic vinegars, 3 Galena Garlic Gourmet Grilling Rubs and 3 customer favorite grilling recipes, all for $45 (a $51 value) available while supplies last. Also, for your convenience, the Oh Olive! team offers complimentary gift wrapping. Place your orders early for Oh, Olive’s new unique olive oils available include Red Grapefruit, Yellow Grapefruit, Tangerine, Bergamot and Mandarin. These tasty oils are perfect for dressing on salads, use as marinade for chicken, scallops, shrimp or fish, drizzle on ice-cream, yogurt, cottage cheese & cheesecake. The possibilities are only limited by your imagination! Customer Appreciation Special: Say, "I love Oh Olive" for 10% off your total purchase every Wednesday only during the month of June!